Passing a subway station from Eirik Solheim on Vimeo. Place the camera firmly against the window. Start video recording just before you approach the station. Add a stupid sound from the default Apple audio library. Exact location: Nationalteateret station, Oslo, Norway. …and you can click through to Vimeo to watch the video in HD. 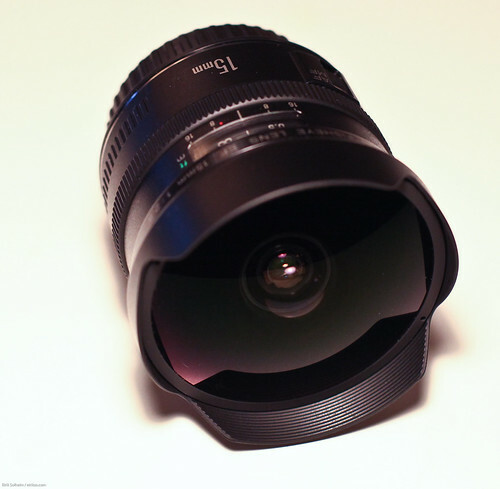 I recently bought the Canon 15mm f2.8 Fisheye for my new 5D Mark II. 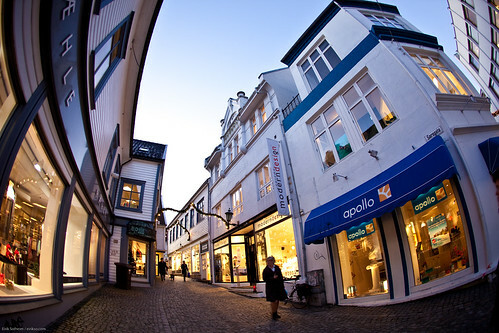 It’s extremely wide angle and gives the characteristic fisheye distortion. In some images you want the fisheye distortion, but in other images you might want to remove it. And there are several applications that can help you with that. Regardless of what fisheye you’re using. The most common way to remove the distortion is to squeeze the image in the middle. Something like what PTlens will do for you. 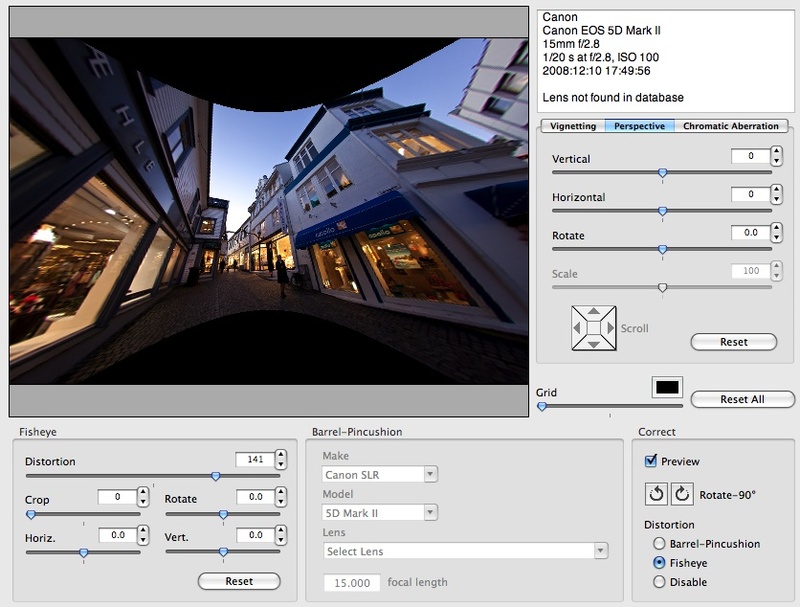 In addition you can adjust perspective, rotation and a couple of other settings. But this leaves you with an image that has to be cropped and if there are people along the edges of the image they will look very distorted. Another program called Fisheye Hemi aim to fix that problem. And will try to remove the fisheye distortion using advanced algorithms to keep as much as possible and do the adjustments but keeping people and other details in the image without distortion. I’ve made a simple flash animation to show the different images. Click the buttons below the image to change from original, to the one corrected with fisheye hemi to the one corrected with PTlens. There are a lot of programs that is made to help you adjust lens distortions. I’ve also tried DxO, but simply found it too difficult to use. For people using Windows I’ve heard positive remarks of RectFish. Please leave a comment if you have a favourite that I haven’t mentioned.